While I’m not the biggest fan of a “European” dinner (basically eating later than 8 or 9pm), I find they are becoming more common in my social circles. As a hostess, you can guarantee that at least half of your guests will be craving some type of comestible before then, especially if you are serving wine or beer ahead of time. Enter the saving grace of the hors d’oeuvre: a time-honored tradition that has relieved many a host from rushing to finish a meal. I attended a dinner this weekend and offered to provide the appetizer course. Knowing that there are few who can resist a good cheese dish, I made adorable Caprese Salad Skewers with Saba Dressing and a creamy Brie en Croute. Let’s start with the skewers (the more innocent of two): caprese salad is a wonderful dish on its own, but what really made this shine was the Saba dressing. My initial intention had been to make a reduced balsamic, yet our host introduced to this gourmet item. 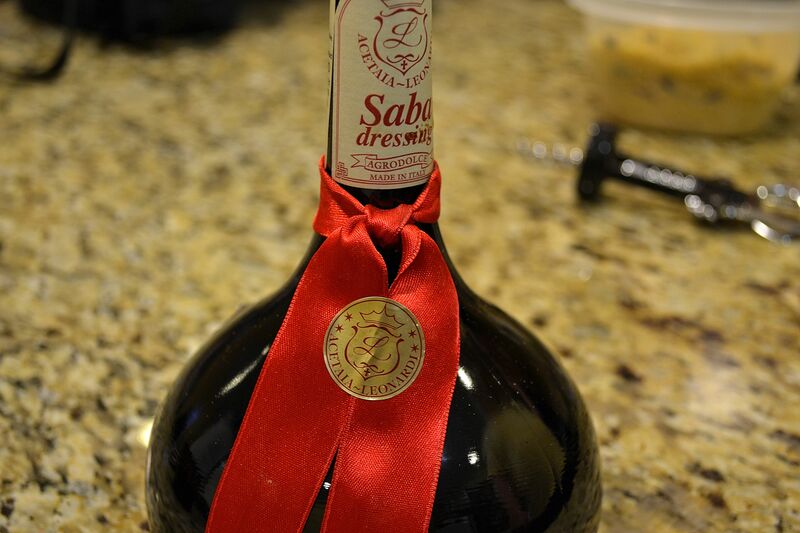 Made from the same grape (Must) as balsamic vinegar, Saba is reduced over an open flame in copper kettles to a thick, sweet syrup and is then aged for FOUR years! Reduced balsamic vinegar can easily be substituted, but this stuff is UH-mazing! 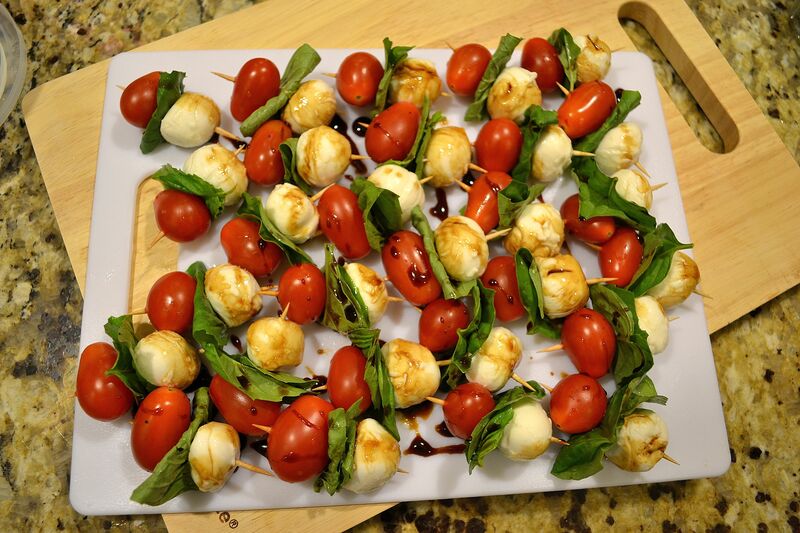 These skewers are SO simple, and pack a lot of flavor in one bite! You can get creative with this combination and add other flavors, such as olives for a Mediterranean flair or cheese tortellini for a more filling dish. The dressing can also be modified, from a more subtle red wine vinaigrette to a spicier lime-pepper glaze. Assemble them as close to serving as possible so the ingredients maintain a fresh, colorful look – click HERE to see how I made these bite-sized delicacies! 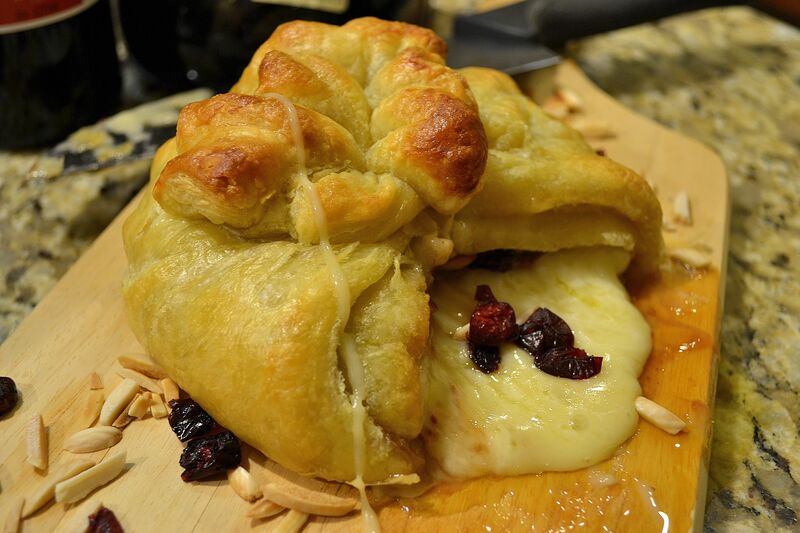 Baked brie is undeniably a seductive dish, and I use that word very rarely when it comes to food. The jeweled fillings of jams and dried fruits, combined with a toasted crunch from the almonds, make for a beautiful aesthetic. 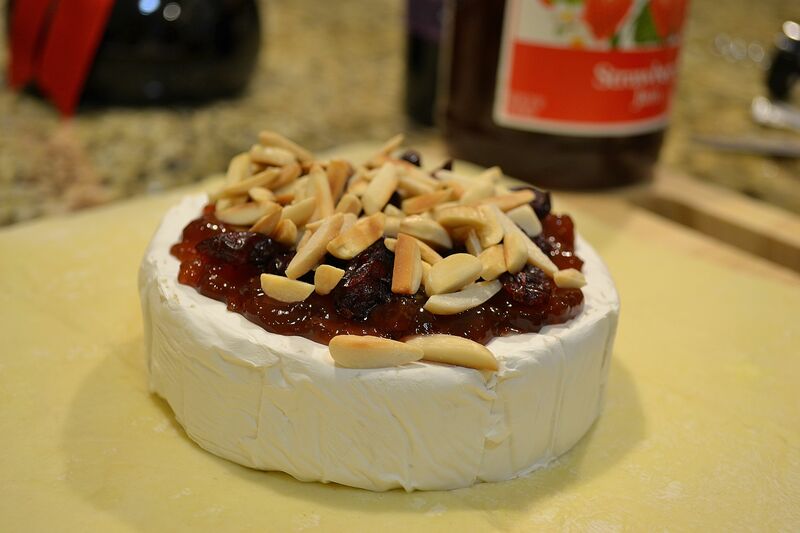 But it’s when you take that first slice after removing the oven that your guests will “melt” at the sight of the creamy, rich brie. This is also a very easy dish to make, and the flavors (once again) can be changed to your liking (sweet or savory!) 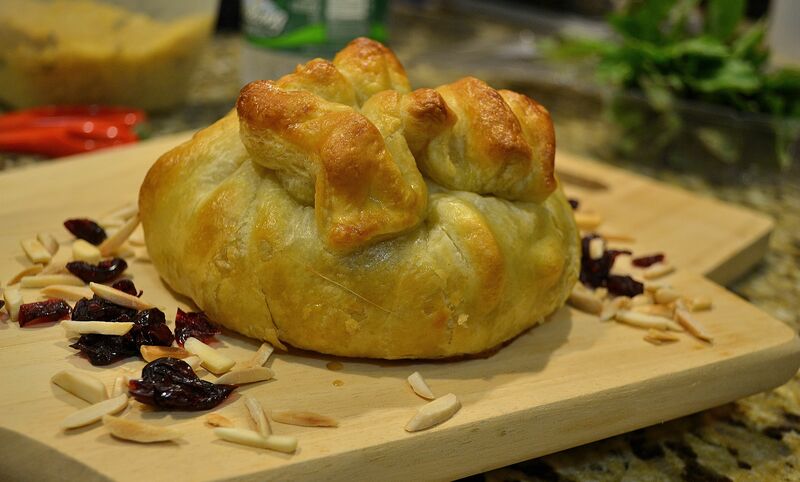 – click HERE to learn how to make this irresistible appetizer. Both of these appetizers are classics, and I wanted to pair them with a classic piece: Mozart’s Clarinet concerto in A major, K. 622. Written in 1791, this work is renowned for showcasing the delicate yet lively character of the clarinet. The interplay between the clarinetist and the orchestra is quite remarkable, acting as more of a conversation rather than just a soloist with accompaniment. This reciprocity beautifully mirrors the above dishes, where every element and part counts in the ultimate taste. The recording I’ve included below is with clarinetist Martin Fröst, and essentially cuts the opening orchestral tutti (which is nearly 60 measures long) to just before the soloist’s entrance – this is personally one of my favorite Mozart concertos, and I hope you enjoy it just as much!